I love sound. My life is often defined by listening. As a musician, I can’t help but be taken in by every song I hear – whether it’s coming from the grocery store’s P.A. or my Apple Music library during a workout. As an introvert, listening is part of my DNA. As a blind person, listening is key to survival — to cross the street safely, I must first hear the traffic to decide which direction it is moving. I listen carefully to instruction-givers and information-offerers, so my life runs more smoothly. But more often than I’d like, the voices I listen to are the ones in my head. Some are the past whispers of well-intentioned folks that still haunt me: “Bless her heart. She must have such a difficult life.” Or the voice of my own doubts, questioning whether I have anything worthwhile to contribute to society. Then there are the voices of our culture shouting at me on Facebook and in other media about what is right and wrong, what beliefs are acceptable, and which political candidates I should choose. Anyone else familiar with these voices? I long to be free from their power. Though they’ll always be present, I want to temper the noisy confusion with the Voice of love and truth. Allowing God’s love to be loudest in our hearts would bring us to life. We would radiate beauty and light. We would be moved to see others – and ourselves – the way He sees us, as dearly loved children for whom He has given all. We’d be inspired to give our all, fearlessly taking light into the darkest places, no matter the cost. And the more we lived out of this love, the more in awe we would be – surrendering our lives to His voice, as we worship Him with everything we have. 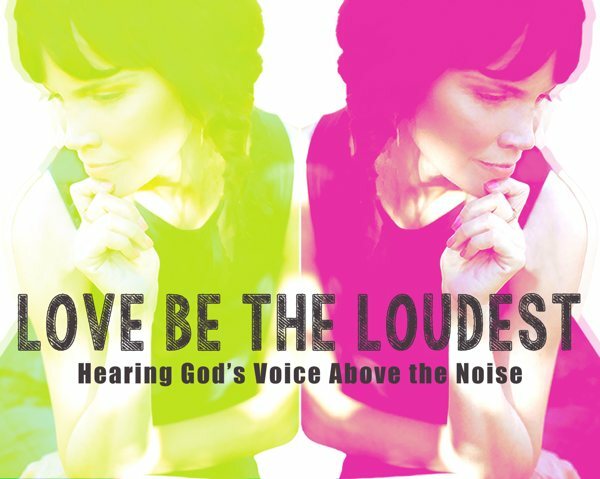 These themes are woven throughout the songs on Love be The Loudest. 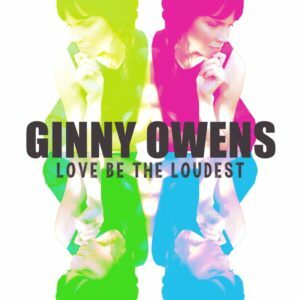 While writing for this record, I’ve been on a mission to learn what the voice of Love sounds like, and I’ve discovered it’s not a sappy, shallow emotion that spurs us to “be nice” and have warm fuzzies for everyone. Love is giving when it hurts; committing acts of kindness when no one is watching; being generous and gracious to those we disagree with, whether friends who state differing opinions on social media, or our arch enemies; and telling the truth when it’s uncomfortable or downright scary, because we care enough to do so. I didn’t come up with this definition of love on my own, but I find it embodied in Christ, the ultimate picture of Love. And the more I learn about love from Him, the more I understand I am powerless to love in my own strength; to love well, I must first rest in His love. I want this new music to inspire you to dance and sing at the top of your lungs as you celebrate Love’s voice! 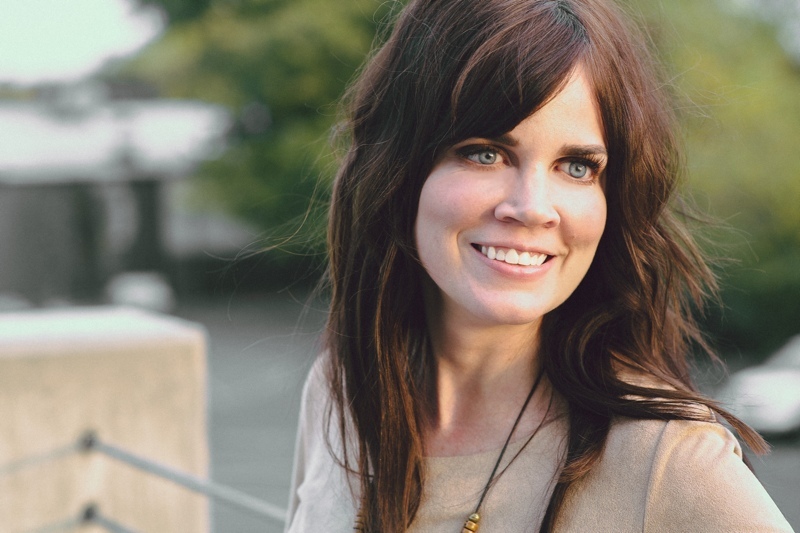 And I pray the lyrics encourage you to consider how perfect Love longs to change us. I am so incredibly thankful there is one single voice that can free us from all fear and doubt, aren’t you? May that voice of Love be loudest in all our lives. Check out my video about Love being loudest! If you like it, share it with everyone you know!